One of Wall Street's dirtiest tricks is how short sellers can wage vicious public relations campaigns against a company in hopes of driving its share price down. It's a perfectly legal practice, and short sellers can go on TV and rail against companies without disclosing that they stand to make a substantial profit if the stock drops. And that's exactly what's been happening to Aphria Inc. (NYSE: APHA). But the short sellers have got it all wrong, and that presents a huge opportunity for investors to scoop up shares before the market figures that out. Bearish investors can sell shares of stock short, called short selling, by borrowing those shares from other investors and selling them in the open market. When it's time to return the borrowed shares, they hope to buy them back at a lower price. They then return the shares to the original owners and pocket the difference in price. But if the share price goes up after they short the stock, they are on the hook for all of the losses, which are potentially infinite if the share price keeps rising. That's why they don't want to leave things to chance. 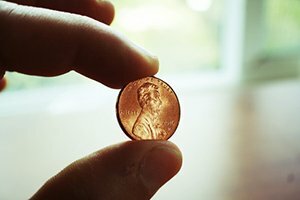 Prominent short sellers can be found writing and talking about how the company has all sorts of problems. They hope to convince other investors to sell their stock and drive down the price for them. And the worst part is that they can criticize the company without disclosing that they sold its stock short or even proving that their "information" is actually correct. But savvy traders can make a quick gain by going against the short sellers, especially if the company is strong. Recall the battle for Herbalife Ltd. (NYSE: HLF) in 2014. HLF stock took a beating when hedge fund manager Bill Ackman shorted the stock and waged a public war against it. He ended up getting demolished and abandoning his position. Herbalife is now up 60% on the year. Revenue grew at a rate of 7.7%, EBITA at a rate of 4%, and free cash flow at a rate of 1.2%. It holds $1.28 billion in cash and $2.17 billion in debt on its balance sheet. In other words, Ackman's argument against the firm couldn't stand up to their solid financials and business growth. Real earnings results beat a famous investor criticizing the company on TV. And that's exactly what's happening with Aphria right now. 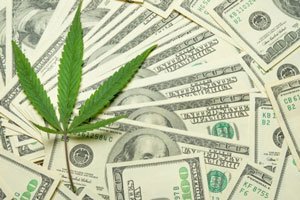 Money Morning Director of Cannabis Investing Research Greg Miller calls it a beautifully wrapped-up December buying opportunity. The short sellers' talking points against Aphria allege, among other things, that Aphria engaged in some inappropriate transactions in Jamaica, Colombia, and Argentina. Unfortunately, the company lost the public relations battle by not quashing those allegations immediately. But since the short sellers had very little substance on which to rely, the current price dip means that shares are cheap. Aphria stock is down a massive 70% since peaking on Sept. 12. That includes the 23% single-day plunge on Dec. 3 after Quintessential Capital Management and Hindenburg Research issued a research report about the company titled "The Black Hole." They were particularly distraught about the company's recent $212.3 million (C$283.5 million) Latin American acquisitions appearing to be largely worthless, including an abandoned building in Jamaica and overvalued price paid for a company in Argentina. 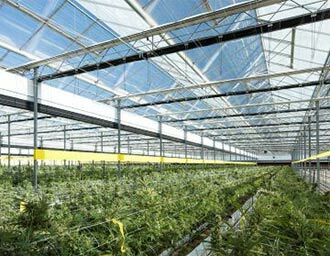 Aphria did not fully respond until the next day, after its stock was halted for trading. However, Aphria was firm that it "unequivocally stands behind" its acquisitions. And management put their money where their mouths were by buying more than $3.1 million worth of Aphria shares. Such heavy buying by insiders who know the intimate details of the company – and stand to gain the most if the stock bounces back – says a lot about the company's prospects for growth. Miller says the allegations made by the short artists are "less than meets the eye – a lot less." The claims they made centered on negative cash flow, quality problems, and affiliate transactions at inflated prices. But they don't hold water. Negative cash flow is a common condition among start-ups and cannabis companies in general, so that is not much of a tell. These companies are still in the investing phase of their life cycles and cannot be expected to cover all expenses so soon. As for the quality of its product, Aphria's business model centers on catering to a mass market instead of high-end buyers. Compare its strategy to brewer Anheuser-Busch InBev S.A. (NYSE: BUD). It makes a fortune selling to the masses and leaving the designer beers to others. That's simply not a reason to avoid a company. You have a VQ Score of 1.75 for Aphria, are you still optimistic on growth?